Exquisite inventory home by Fischer and Frichtel in the Wyndgate Oaks neighborhood! This .34 acre homesite backs to trees and is on a cul de sac street. 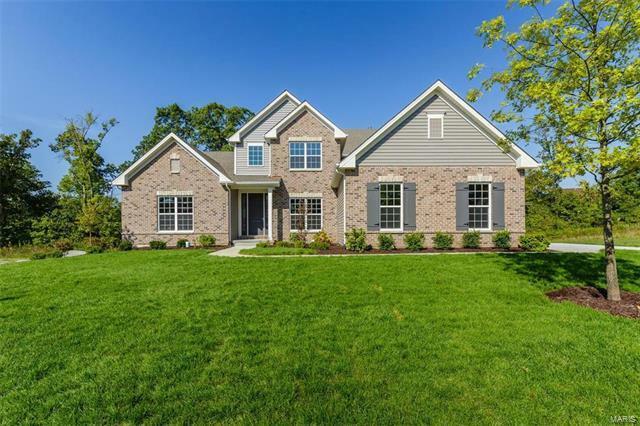 This 4 BD, 3.5 BA, 3,921 sq ft home has fantastic finishes inc a 3 car side entry garage, elegant brick façade, arch shingles, 9’ ceilings w/11’ in the Grt Rm, MAIN FLOOR MSTR w/Lux bath, Hearth Rm, FP w/stone-ceiling, custom 42” cabinets w/crown, island w/brkfst bar, granite c/tops, st steel appl, gas cooktop w/hood, dbl oven, under-cab lighting, W/I pantry, huge W/I closets, main flr Study, Frml DR, custom trim, step up 2nd flr Bonus Rm, wrought iron railing, raised hght vanities, low E windows, dual zone HVAC, R 50 attic insul, full sod, prof landscape, irrig system, insul garage doors w/opener, keyless entry, tall bsmt pour, R/I bath, 16x13 patio & more. Enjoy over 50 acres of wooded common ground, pool, bathhouse, parks, sports court, 3 acre lake & trails for walking-biking. Fantastic location near Hwy N, 40 & 364. I-64/40 to Winghaven/Hwy DD exit. Travel west on DD 2.6 miles to Right on Diehr Road. Continue on Diehr Road 1 mile and turn Left onto Long Gate Court.